March was a busy month for Belarusian analysts and international organisations studying Belarus. The United Nations Development Programme reports on the development of countries and Belarus ranks 50th in terms of social and economic progress. BISS challenges the belief that Belarusians are strongly for independence with fresh survey results. What are the geopolitical preferences of Belarusians? – their report gives an answer. Viasna reviews the situation of the human rights in Belarus. The Kalinowski programme celebrates its 7th anniversary and Generation.by takes a closer look on the project and sums up some interesting facts about it. Belarus in 2013 UNDP Human Development Report. According to this regular UN study, Belarus is ranked 50th out of 186 nations in terms of economic and social progress. It is classified as having high human development and scored higher than Russia (56th), Romania (57th), Bulgaria (58th) and Ukraine (78th). The report is based on a composite statistic of education, life expectancy and income indices to rank countries into four tiers of human development – very high, high, medium and low. Belarus is not included in the top five Internet enemies. On 12 March, the World Day Against Censorship in the Internet, Reporters Without Borders, an international advocate for press freedom, labelled Syria, China, Iran, Bahrain and Vietnam as "enemies of the Internet" in a new report for their alleged increased online surveillance. Belarus is not mentioned in the report. How much people spend on food in different countries? The discovery by European food shoppers shows that spending on food as a share of total income has declined markedly, but at the expense, some say, of quality: people in poor countries are forced to devote a far higher share of income to buying food. Belarus is in the top in the list where households have to spend significant sums on food, alcohol and tobacco. Improving the Situation in the World. What is Important for Belarusian Women? – In January, the United Nations launched a global survey "My World", where everyone can choose what she/he thinks the most important for a better world. Six priorities of Belarusian women looks like as follows: better health care, honest and effective government, protection from crime and violence, affordable and quality education, protection of forests, rivers and oceans, non-discrimination and harassment. The first four priorities coincide with the global one. Geopolitical Preferences of Belarusians: Too Pragmatic Nation? – BISS presents its new research which studies the attitude of the Belarusians towards the main integration centres – Russia and the EU. The comparison of the data obtained in 2010 and 2013 made it possible to explore changes in some of the crucial trends. As a result, some of the popular stereotypes about the geopolitical choice of the Belarusians were debunked, specifically, the stereotype about the predominantly value-based choice of ‘Euro-enthusiasts’ and integrity of ‘Russophiles,’ as well as the myth about the brotherhood with Russia. Amplituda. Belarus Authorities Phenomenally Lucky with the People – analyst Alexander Klaskousky, a guest of TUT.by program Amplituda, discusses the characteristics of street protests in the recent history of Belarus, slogans and speeches of the opposition, the authorities' response and relocation of protests to the Internet. The expert believes that Belarus needs street protest but both the authorities and the opposition should learn them. The Conservative Revolution: Breakthrough to the Past – Alexander Adamyants, Centre for European Studies, continues to debate between liberals and conservatives. 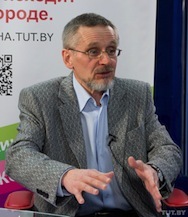 In his article, the author presents the dispute as a competition of ideas about the present and future of Belarus. The expert believes that the current conservative futurism is a breakthrough in the past, in a bygone era which has only of historical-philosophical sense, but nothing more. ABC. Political Review # 1, 2013 – Analytical Belarusian Centre presents its first Political Review in 2013. The paper examines proposals on changes in the electoral law; the process of coalition building of the opposition forces; and the readiness of the official Minsk to start another cycle of the Belarusian-European relations. What Should Institution of the Ombudsman be? – Legal Transformation Centre gives its response to the draft Concept of National Institution on Human Rights in Belarus. The experts consider the proposed concept as quite liberal; namely the document provides that an Ombudsman can have a meeting with any official, including the president, at his/her first request. However, experts strongly protest against the position that the ombudsman should be appointed by the president, as it is limited a lot freedom to criticise. Situation of Human Rights in Belarus in 2012. Review-chronicle – Human Right Centre Viasna presents the analytical review on the basis of the monthly reviews of the situation of human rights in Belarus in 2012. Each of the monthly reviews includes the analysis of the most important events which influenced the observation of human rights for the given period, as well as the most evident and characteristic features of the abuses registered at that time. Nationwide public opinion poll of March 2013 – in March 2013, Independent Institute of Socio-Economic and Political Studies (IISEPS) conducted a public opinion poll covering the most topical aspects of life in Belarus. Namely, for the last three months "economic well-being" of Belarusians has worsened. However, this mood is not directly transferred to the president whose electoral rating rose slightly compared to December, from 31.5% to 33.4%. Ratings of opposition have been declined: only 13.1% of respondents trust in opposition political parties, while 60.9% do not trust. Generation.by Examines the Kalinowski Program – Online edition Generation.by identifies 13 interesting facts of the largest Kalinowski programme which celebrates its seventh anniversary. The programme supports the repressed Belarusian students by enabling them to continue education at Polish universities. In particular, it is noted that, in general from 2006 to 2012, about 685 people took part at the Program, 100 of them completed the full cycle of education (bachelorship and Master's degree). Each year, the Polish government spends for the Program about 1.25 million euro. Social Nihilism of Liberal Junta – Victoria Kharkevich, conservative centre NOMOS, makes a contribution to the debate between conservatives and liberals. The author strongly criticises the main statements of the recent Alexander Adamyants’ article, ranking him as a representative of "nihilistic reservation of liberalism". She invites all intellectuals of any direction to overcome their stamps and scheme and come to a new vision of themselves, the world and the future, what she calls a "conservative futurism". 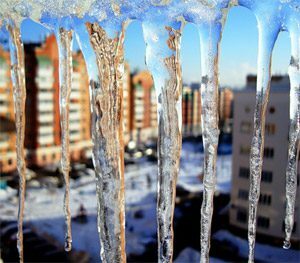 Amidst the snowy spring of 2013, the National Bank of Belarus finally gave up on its attempts to maintain macroeconomic stability and turned its attention to the real sector. The National Bank began carrying out a policy of providing cheap credit to carry out modernization, the new holy cow of the government. It also set its sights on meeting the forecasted 8.5% of GDP growth till the end of the year. Meanwhile, independent experts agree that this policy is incompatible with the inflation forecast of 12% in 2013. The GDP growth rate is rising again – in January-February 2013 the Belarusian economy grew 4.4% compared with the same period last year. However, there is no macroeconomic miracle unfolding. Just as the oil refining business was a driver of growth last year, this year a surge in potash exports that explains the economy's success. As a result, the growth across regions has not been homogenous: the Vitsebsk oblast, which is in recession, can explained by declines in oil refining and oil trade; the Minsk oblast, home of a major potash trading company, experienced record growth at 8.3%. This year’s growth, though, differs substantially from last year’s. The major difference is in investment activity. If the year before investment was in decline, now investment activities have been speeding up. Again, the growth in investment is not homogenous, and on the regional level some of the regions, like the city of Minsk or Hrodna oblast, continue to witness a decline in investment, while others, like Vitsebsk oblast, almost doubled their investment activities. This heterogeneity in investment suggests that the aggregate investment growth is not a result of macroeconomic stabilisation or increased optimism from the real sector. Rather it is a sign of directed modernization, which has already begun in certain state-controlled enterprises. Meanwhile, the imbalances in the real sector continue to accumulate. The Belarusian economy still suffers from the same old ailments: real wages are growing faster than productivity, directed increases in output result in increases in inventory stocks, and the country's foreign trade balance is negative. Despite the significant efforts to stabilise inflation in 2012, in the beginning of 2013 Belarus was the clear leader in inflation in comparison to its neighbouring countries. Over January and February 2013 the prices in Russia increased by only 1.5%, while in Belarus the increase was 4.3%. Ironically, as the government fights to keep inflation within the yearly limit of 12%, spikes in government-controlled prices are responsible for consumer inflation. After the slight inflation slowdown in February the National Bank decided to cut its main interest rate – the refinancing rate. Since March 13, the Bank has cut refinaning rate by 1.5% to the level of 28.5%. That is the first cut in the rates since September. While the initial plan for 2012 was to cut the refinancing rate each month, this process had to be stopped in September as the National Bank saw that further cuts could increase currency demand and pose a threat to macroeconomic stability. The economic situation has remained the same since September: monthly inflation rates do not show significant decline and the trade balance continues to deteriorate. The only reason, which could motivate the national Bank to cut the refinance rate (and a 1.5% cut is a significant change), is a desire to stimulate the real sector by providing cheaper credit. As a result, in March banks no longer had problems with liquidity. The softer monetary policy may be premature and may result in deterioration of Belarus' macroeconomic stability. Lower rates do stimulate credit and economic activity, but they also stimulate imports (in particular, of intermediate goods) and make ruble-nominated deposits less attractive, which may result in a higher demand for currency. Given Belarus’ limited currency reserves coupled with the high debt repayments due this year and the negative current account balance, these factors create inflationary and devaluation pressure. Luckily, there are no signs of the realisation of this pressure in the immediate future. Expectations already reflect the possibility of devaluation: 32.1% of people consider devaluation a real threat according to a survey by the Independent Institute of Socio-Economic and Political Studies (IISEPS) conducted in March 2013. The exchange rate, it should be noted, is quickly approaching the psychological barrier of 8700 rubles per 1 USD. The negative current account balance and a large amount of debt to repay this year are probably the main challenges facing Belarusian economy. The hopes of getting a $2bn loan from Russia are fading away, and the IMF loan seems like an attractive option, even if it comes with strings attached. On 14-15 March the IMF mission spent time working in Minsk. IMF officials praised the government for its achieving macroeconomic stability, but warned about the possibility of another round of devaluation if the government puts in to play a stimulation policy to boost growth. IMF mission head David Hofman did not exclude the possibility of the Fund’s cooperation with the Belarusian government, but stressed again that the joint program will be possible only if Belarus agrees to specific reforms. After the mission concluded its work, the Ministry of Economy announced that it was drafting a project of cooperation with the IMF. This project will not include a standard stand-by credit line. Rather it would be a development program with the IMF dealing with financing reforms and modernization in the real sector. The government plans to present its project to the IMF in April. The last IMF experience in Belarus was not a pleasant one: a stand-by program, initiated in 2009, resulted in a serious currency crisis in 2011. IMF has since realised that the National Bank and the government do not always follow their recommendations, and now the IMF wants “a credible commitment at the highest level”. This article is a part of a new joint project between Belarus Digest and Belarusian Economic Research and Outreach Center (BEROC) – a Minsk-based economic think tank.